Marie Mutsuki Mockett's family owns a Buddhist temple 25 miles from the Fukushima Daiichi nuclear power plant. In March 2011, after the earthquake and tsunami, radiation levels prohibited the burial of her Japanese grandfather's bones. As Japan mourned thousands of people lost in the disaster, Mockett also grieved for her American father, who had died unexpectedly. 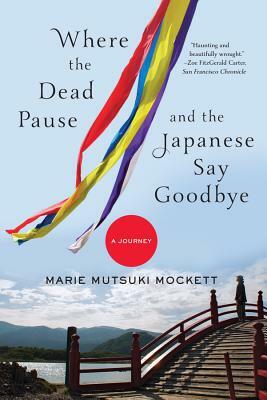 Seeking consolation, Mockett is guided by a colorful cast of Zen priests and ordinary Japanese who perform rituals that disturb, haunt, and finally uplift her. Her journey leads her into the radiation zone in an intricate white hazmat suit; to Eiheiji, a school for Zen Buddhist monks; on a visit to a Crab Lady and Fuzzy-Headed Priest's temple on Mount Doom; and into the "thick dark" of the subterranean labyrinth under Kiyomizu temple, among other twists and turns. From the ecstasy of a cherry blossom festival in the radiation zone to the ghosts inhabiting chopsticks, Mockett writes of both the earthly and the sublime with extraordinary sensitivity. Her unpretentious and engaging voice makes her the kind of companion a reader wants to stay with wherever she goes, even into the heart of grief itself.